I headed out early into a cold morning. I found myself at the foot of an empty cross. who allows me to look at an empty cross. My sins have been cancelled. has been paid for – in full. He is real and alive. He overcame death – your death. Your sins demanded this payment. Know the worth of your soul. would pour out His blood for you. ”but now you have returned to the Shepherd and Overseer of your souls. 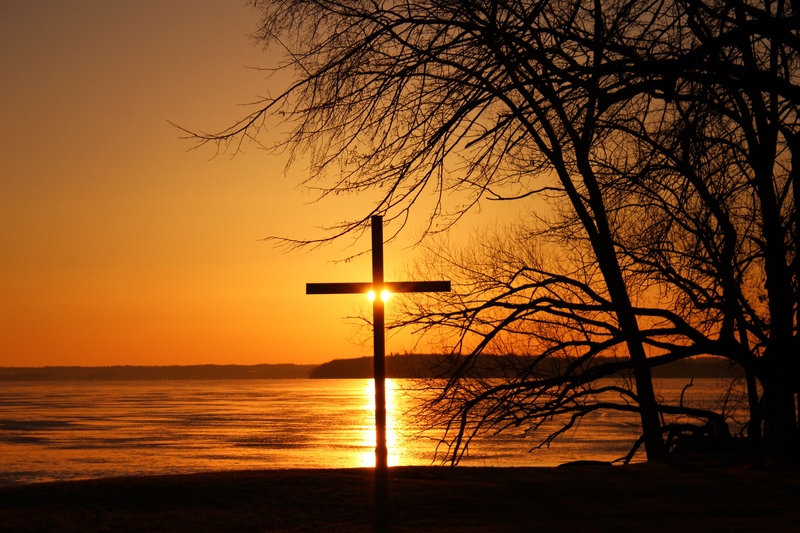 This entry was posted in Christian Poetry, Devotional, Ponderings, Revival, Sunrises - Pictures and tagged Cross, Gospel, Jesus Christ, love of God, payment for sins, sins. Bookmark the permalink. Very well done, Heidi. Thank you for taking the time to read my blog and I look forward to learning from your blog. Thank you, Heidi , for going to the cross and then taking us there too! I am so blessed by “the empty cross”. We often hear about the tomb being empty, but there is something that really touches me about the cross being empty. God bless you and yours as you go to Him today! 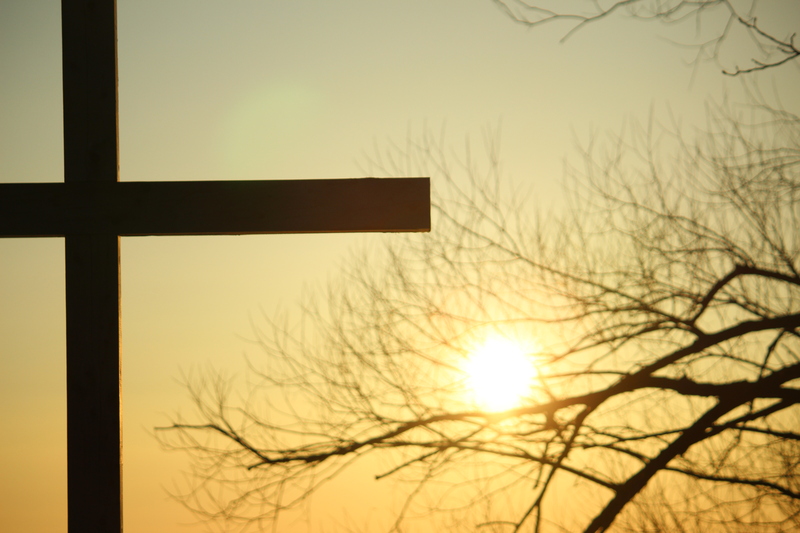 As I stood there in front of that cross yesterday morning, I actually thought of the empty tomb. Christ is alive! Neither cross nor tomb could hold Him … but were only means by which we would come to understand His amazing grace to us 🙂 Sending much love your way, sister! “know the worth of your soul” – it is worth nothing without Him! Your words take me to the cross, sweet sister in Christ! What a blessing to know that these words accomplished what they were intended for! Indeed, we find all our worth in Him~ May we continue to draw near the heart of God and spur one another on toward the finish line 🙂 You are loved, sister! Christ is our only hope! What a treasure we have in the empty cross! Sending much love your way, dear blogging friend! Thank you for re-blogging 🙂 Easter blessings to you! How beautiful, Heidi. Love, love, love the photo – the poem. Thank you Jesus, for the cross!! We have that hope of heaven, don’t we! Thanks for stopping and blessing me with your kind words! Wishing you a joy-filled passion week! God bless you, too! “Know the worth of your soul.” Sometimes we forget that Jesus loves each of us as if there was only one of us (St. Augustine). To be loved like that by the Son of the God of the universe is incomprehensible. Thank you, Heidi, for filling our hearts with fresh awe this morning. Nancy, your comments always bless me with this extra bit of Holy Spirit encouragement! It was a marvelous morning with the Lord. He is good and always meets us when we seek His heart! Sending Easter greetings your way, blogging friend! 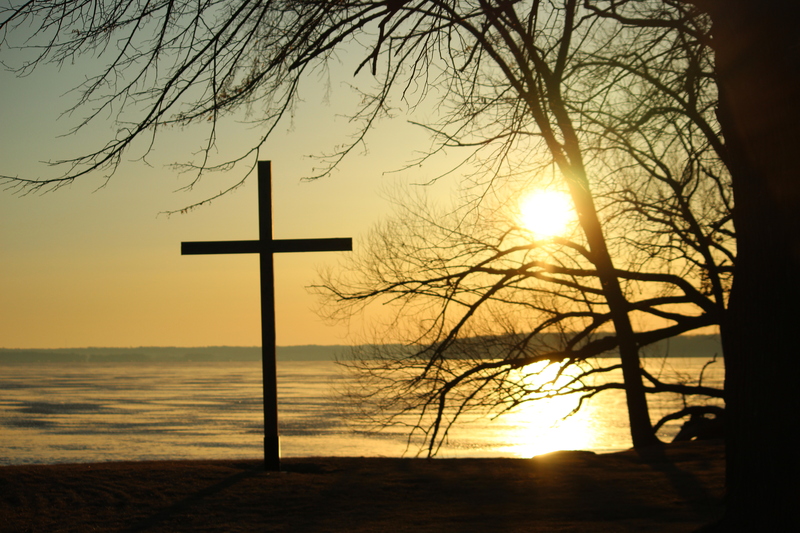 The sweetest reminder –an empty cross. . . ! May the light of this truth to be a lamp to your path this morning. Thank you for those kind words, brother! Beautiful God, Deborah 🙂 Sending you love and peace this Easter! Know I am thinking about you!